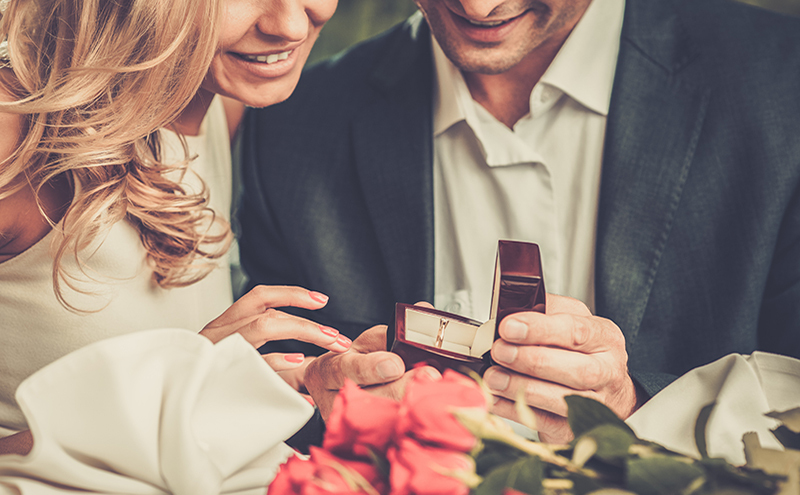 Many couples think bespoke rings will be way above their budget, which can be stressful when there’s already so much being spent on the venue, dress and everything else. The truth is that a bespoke commission can suit all budgets. We can adjust design aspects – from the ring’s weight to type of diamond or stone – to bring the price in line with a couple’s exact budget. We get lots of customers coming in, torn between different designs they have seen on the high street or on Pinterest, unable to make a decision between their favourites. The great thing about bespoke is that we can take the best aspects of each ring and create one design which is suited completely to their taste. Sometimes it can be hard for our couples to visualise how the new design will look, so this is why using CAD (computer-aided design) works so well, as this creates a rendered drawing which gives a fully realistic view of what their finished ring will look like. This rise of unusually shaped engagement rings has created a real need for custom-shaped wedding bands. To ensure we get the exact shape to allow the wedding band to sit flush against the engagement ring, we can create a wax model of the wedding ring, using the shape of the engagement ring as our guide, ensuring it sits perfectly before we make the final version. I think what makes a bespoke piece of jewellery so special is that it’s a unique creation, symbolising your personalities, styles and life together. 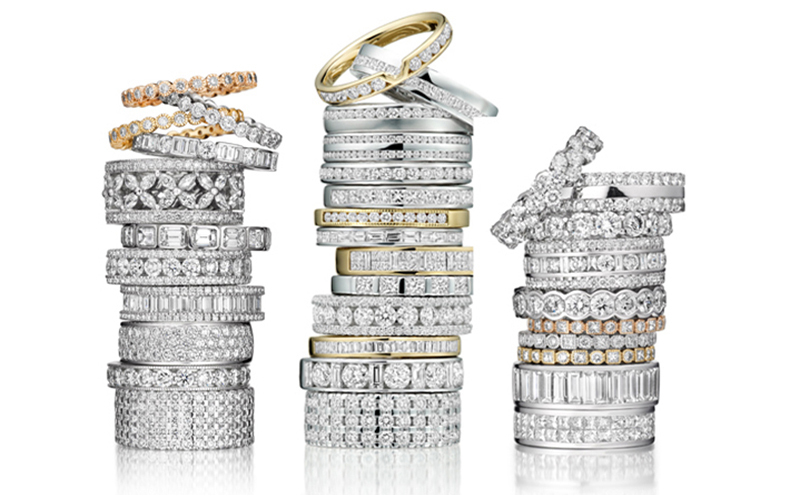 Unlike buying a ring straight off the shelf, bespoke gives your wedding ring something different. It means no one else is going to have your custom design as there are so many elements you can change. We offer couples the option to engrave their ring inside or out. This can be anything from their handwriting etched onto the band, their fingerprint or little touches like roman numerals of their big day date decorating the outside of the ring. 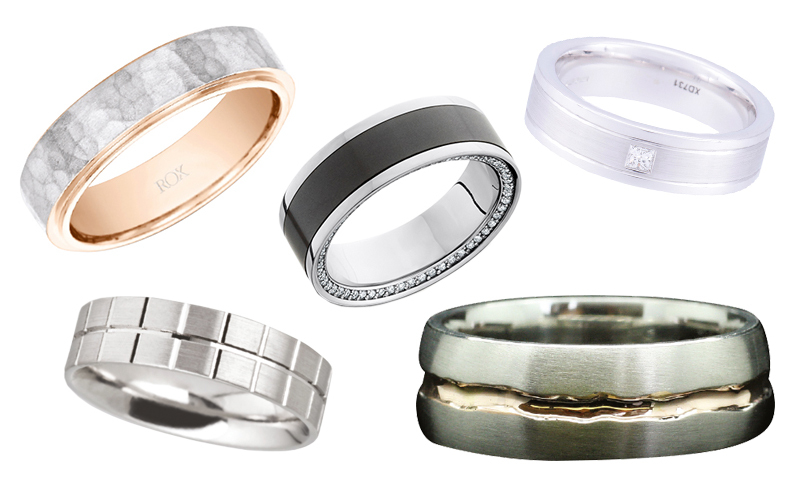 Unlike mass-produced wedding bands, going bespoke gives brides and grooms the chance to be their own designer. Many of our couples comment on how exciting it is to be able to create their dream rings together. It really is lovely to see excited brides and grooms come in to their first appointment with loads of ideas and questions and watch the design develop into the finished piece. There is nothing quite like seeing the happiness on the faces of a soon-to-be-married couple when they come in to pick up their rings! 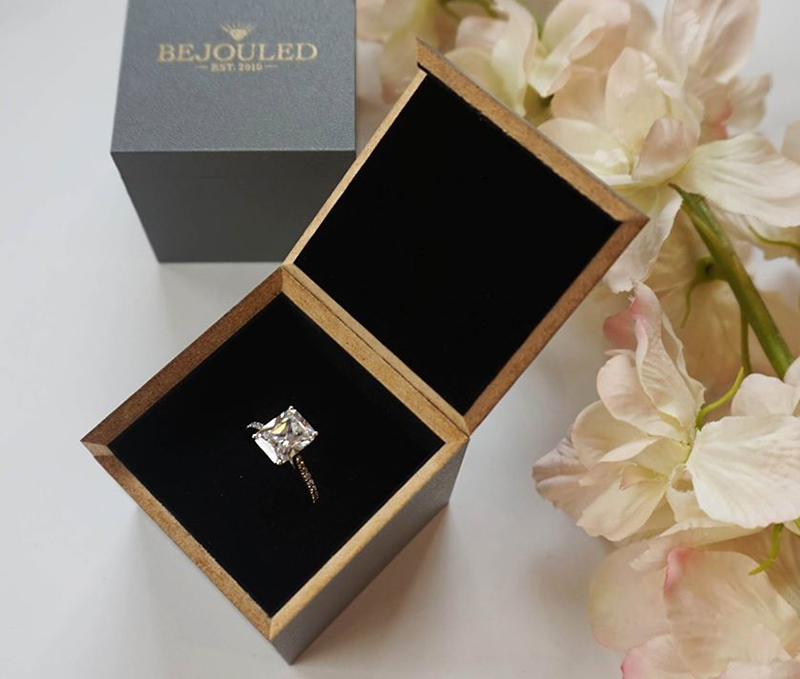 At Bejouled, we also offer a remodelling service for all types of bespoke jewellery commissions, which can be a great option for those wanting to create an engagement or wedding ring with elements from a sentimental piece of jewellery. 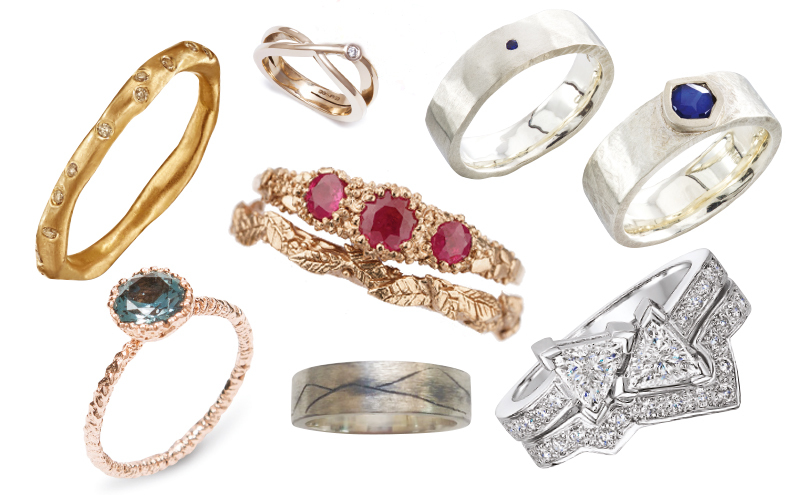 We can take a diamond or stone from a sentimental ring or other piece of jewellery and incorporate it into a new ring design. This has been popular for couples who have had an engagement ring passed down through the family and want to keep the sentiment but want to update the design. Traditionally, couples may have gone for similar, simplistic gold bands, but it is now becoming increasingly popular to match bands in a much more design-led way. Grooms are often surprised at the extensive designs that can be created and I think men are now being much more adventurous with their wedding bands. We have also recently had requests to create the groom’s ring using design aspects of the bride’s engagement ring which is a really nice touch. Bejouled’s have just launched a brand new website and online boutique. To find out more, or to book a bespoke appointment call 0141 649 7675 or email info@bejouledweddingrings.co.uk.